The beautiful countryside of Provence was declared a biosphere reserve (Réserve de la Biosphère) by UNESCO. The landscape is characterized by jagged rocks, wild gorges, desolate peaks, pine forests and fields covered with lavender and grape vines. Gorgeous villages cling to the edges of cliffs. The 60 kilometer long mountain ridge that points from east to west is a paradise for hikers, bikers and nature lovers. The gorge of Lourmarin separates the Lesser Luberon in the west from the Greater Luberon in the east. The Greater Luberon reaches its highest elevation at the Mourre Nègre (1,124 meters). This monastery is among the most famous in Provence. 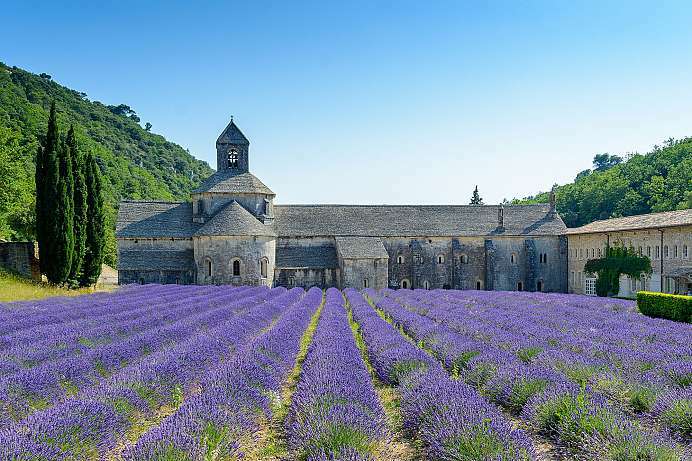 It is also a popular backdrop for photos owing to the fields of lavender that unveil their splendor every year between July and the beginning of August. Sénanque was founded in 1148 by Cistercian monks known for their strict asceticism. The monastic rules were the strictest of their day. The plain buildings are devoid of ornamentation. The cloister is the only building with arches (48 of them) with short pillars. The monastery was disbanded during the French Revolution, but was revived 40 years later. 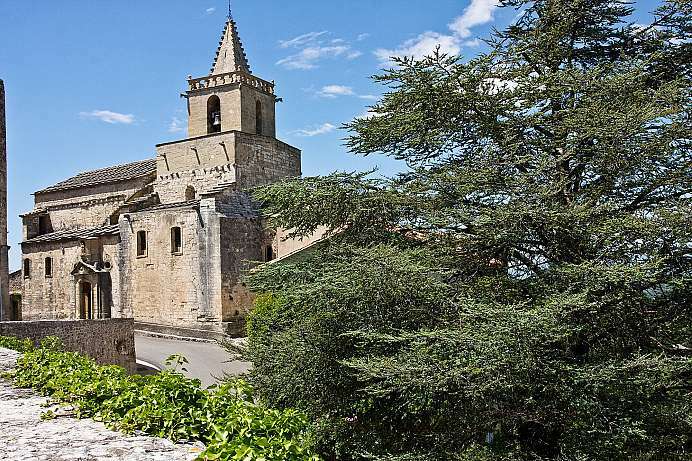 The medieval-looking town of Venasque is perched on a rock ledge high above the plain of Carpentras. It was officially declared a “Plus beaux villages de France” on account of its architectural unity and its idyllic public squares and fountains. The former diocesan town is surrounded by walls on three sides that are strengthened by a number of towers. The popes of Avignon used the nearly impregnable clifftop town as a refuge for many years. If in danger, they could disappear into the mountain wilderness of the Luberon via the gorges of the Nesque.